Earlier this month, Samsung has introduced a brand new camera under its NX series called NX500 which apparently mixes together the capability of its flagship NX1 camera with consumer-level features. It is scheduled to be released throughout the world starting this March and true enough, the camera has made its way to SIRIM’s database. Featuring a retro body design, the Samsung NX500 is built with a 28-megapixels BSI APS-C sensor together with 4K video recording capability at 24fps, maximum ISO of 51200, and burst shooting mode at 9fps. There is no optical viewfinder on the camera which means users have to rely on its tilting 3-inch Super AMOLED touch display instead. It also comes with Wi-Fi, Bluetooth, and NFC connectivity. Approved by SIRIM on 13 February 2015, is this mean that Malaysia will become one of the first market to receive the camera? Well, that is indeed possible but the decision to release the device is totally up to Samsung itself because being listed on the database doesn’t mean that the product will be made available to Malaysian consumers immediately. 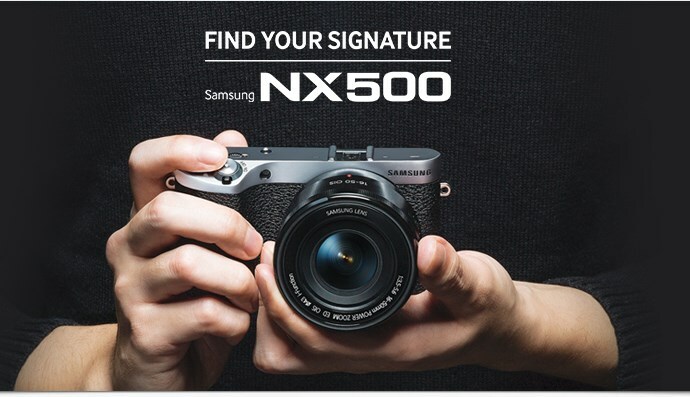 Nevertheless, we will keep you updated once Samsung Malaysia reveals more information regarding the Samsung NX500’s release in Malaysia.